An open plan ceiling design. Composed of element A, B, C1 cross runner and C3 main runner. Distance between each main runner (C3) is 600mm. Each unit is composed of 600x600mm modules. Security clip (C-104) can be used to increase the strength of windproofing of the ceiling. Easy to be installed and demounted. 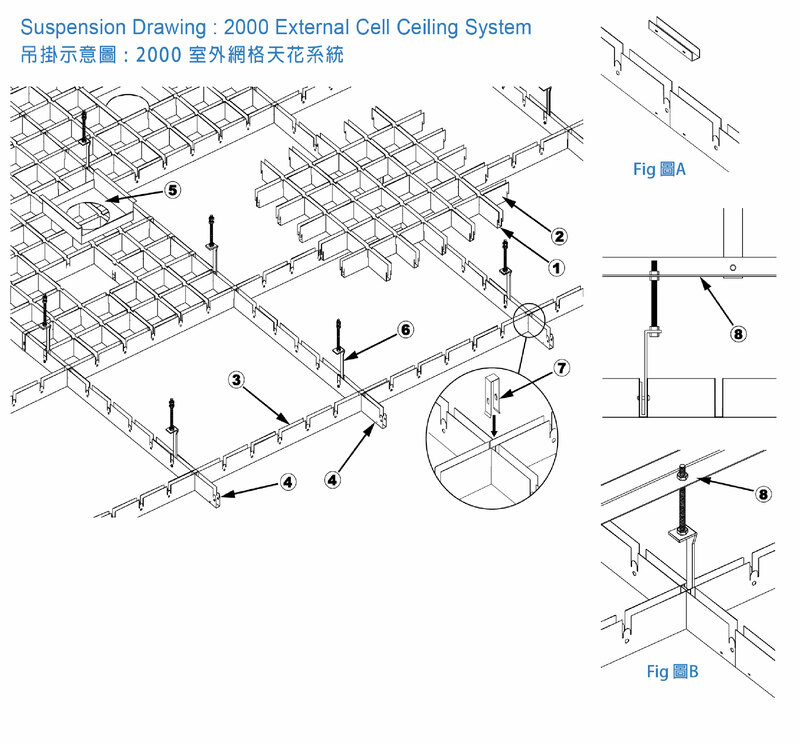 Suspension of system is mainly hanged by Cell ceiling support (C-103) to suspend each main runner in the ceiling (FIG. A). The Runner connector (C-105) is used to connect all runners.